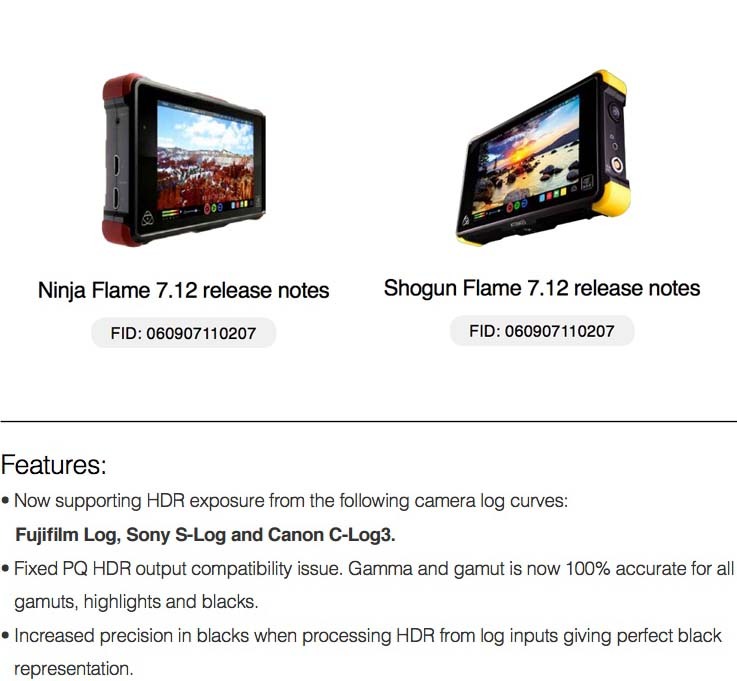 Atomos is updating their recorders to fully support the Fujifilm X-T2 for HDR Log exposure. You can download the Ninja Flame 7.12 update here and the Shogun Flame 7.12 update here. If your interested in purchasing an Atomos they are available from your favorite retailers. This entry was posted in Accessories, Fuji X-T2 and tagged Atomos, Atomos Ninja Flame, Atomos Shogun Flame, Fuji Rumors, Fuji XT2, Fujifilm, Fujifilm Rumors, Fujifilm X-T2, Fujifilm XT2, FujifilmRumors, Fujirumors. Bookmark the permalink. Trackbacks are closed, but you can post a comment.